This book focuses on four developmental tasks -- bonding to others, separating from others, integrating good and bad in our lives, and taking charge of our lives -- that all of us must accomplish to heal our inner pain and to enable us to function and grow emotionally and spiritually. 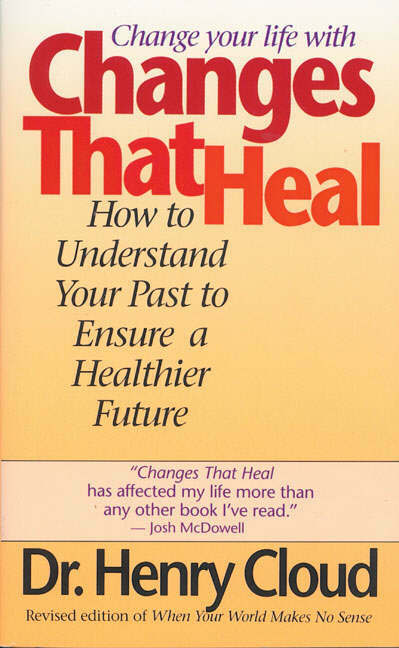 Changes That Heal by Henry Cloud was published by Zondervan in December 1996 and is our 17525th best seller. The ISBN for Changes That Heal is 9780310214632. Be the first to review Changes That Heal! Got a question? No problem! Just click here to ask us about Changes That Heal.